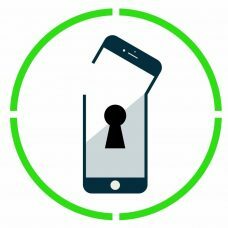 Unlocking Service for iPhone, Samsung, HTC, LG, Motorola, Huawei Etc. If my unlock code did not work, will I get a refund? Yes, you'll receive a full refund if we can't get you the unlock code for your phone But if you send us a wrong IMEI you will not be refunded because Incorrect IMEI generates wrong unlock codes. How long will it take for the unlock code to reach me ? The delivery time varies from carrier to carrier.The delivery time is stated on the checkout page. You may contact us at [email protected] for any question. Do I need to download a Software ? Will it damage my phone ? No. Unlocking your phone carries no risk, your warranty will not be void. All your contacts, files, and apps will stay the same. How to find the IMEI Number ? Dial *#06# and the IMEI number and the first 15 digits are your IMEI Number.